On May 9, Rwanda signed a Space Inclusion in Africa agreement with Japanese government to start training Rwandan engineers in fabricating local satellites in big data, weather and space technology. The agreement is part of Japanese African program to train satellite engineers — six Rwandan engineers will benefit from the training this year. 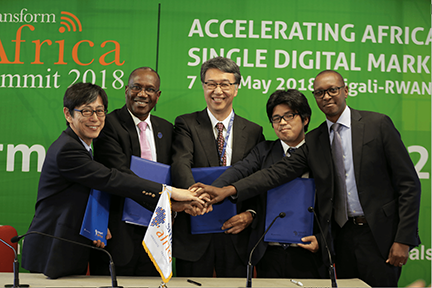 The Agreement was signed in the sideline of the Transform Africa summit between Rwanda Utilities Regulatory Authority (RURA) and, on Japanese side, Takayoshi Fukuyo, Representative of Director of Space Edge Lab. (SEL), Professor Shinichi Nakasuka and Dr. Ryosuke Shibasaki, Professors of Laboratories of the University of Tokyo. Nakasuka said that the first satellite data transmission was tested in March this year in Kicukiro, Kigali, a project milestone successfully met. For RURA officials, this deal comes at a time when the country is opening capacity into space technology and a growing space technology development that is occurring in private businesses and schools. He also said that the plan is to build a satellite station in Rwanda, which has already been started in the Kicukiro district alongside to train Rwandans to develop smallsats. Lt. Col. Patrick Nyirishema, the Director General of RURA, said that the regulatory policies have been put in place to facilitate private developers and implementation of the space policy — with time, these policies can be changed at the regulation and implementation levels. A similar agreement was also signed with Smart Africa to start a collaboration in the field of spacecraft engineering and associated fields of information and communication technology to promote the Space Inclusion initiative, which is in line with the Smart Africa Alliance goals of creating a single digital market. 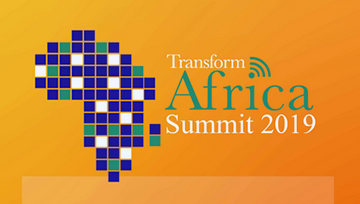 Dr. Hamadoun Toure, Executive Director, SMART Africa, said that the secretariat will offer scholarships to African innovators. At least six Africans will be trained in Japan each year, with a high possibility of sending Japanese trainers to Rwanda as a starting point to expand systems engineering technology in Africa.